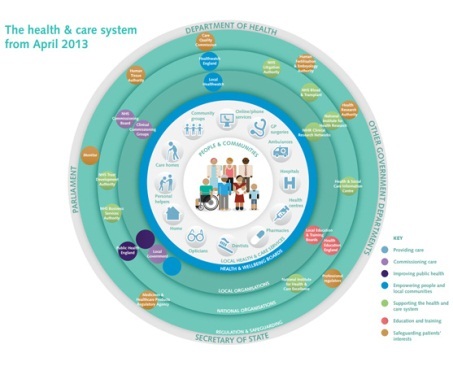 The Kings Fund overview about the changes happening in the NHS world for patients​. Good health outcomes are a priority for the NHS West Suffolk Clinical Commissioning Group. Suffolk County Council’s public health team has an integral advisory role in ensuring that healthcare services commissioned by the CCG deliver improved health and reduce the levels of health inequality in west Suffolk. For more details please see: www.dh.gov.uk/health/2012/06/act-explained or click on the links below. NHS England want everyone to have greater control of their health and their wellbeing, and to be supported to live longer, healthier lives by high quality health and care services that are compassionate, inclusive and constantly-improving. Department of HealthSets objectives and budgets and holds the system to account on behalf of the Secretary of State. Trust Development AuthoritySupporting NHS trusts to secure sustainable, high quality services for the patients and communities it serves. Public Health EnglandProvides public health leadership and expertise, and works to improve the nation’s health and wellbeing, and to reduce health inequalities. Health Education EnglandResponsible for the education, training and development of the healthcare workforce. NHS ChoicesProvides information on conditions, treatments, local services and healthy living.